Pants are a key component of one’s daily attire. 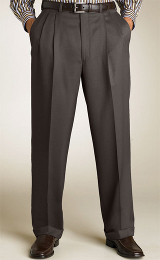 Whether, it’s jeans, cargo, or suit trousers, you know firsthand how comfortable you favourite pair of pants are. Thankfully, with Veracity Tailor’s made-to-measure pants service, you can get the same comfort with each and every pair you buy. The pants you have made with us will fit you perfectly each and every time.